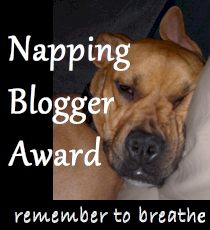 Okay I know…I’m sorely behind on blogging. You’ll forgive me (I hope) when I tell you that I’m up to my eyeballs in creativity. Lots of great things are happening in my life and I want to tell you ALL about them….soon. In the meantime I wanted to thank the following wonderful people for passing along awards and tagging me for another meme. 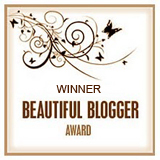 So thank you Anna, KD and Matt for the Napping Blogger Award, the Beautiful Blogger Award and the ‘Be Inspired’ Blog Hop (respectively). Over the next few posts I’ll be taking some time to fulfill all my writerly and bloggerly (yeah I said it) obligations that are associated with these. I’m on a Journey! Come along!